Cream together butter and sugar and beat until light and fluffy. Add eggs and molasses and beat until incorporated. In a separate bowl, sift together dry ingredients. 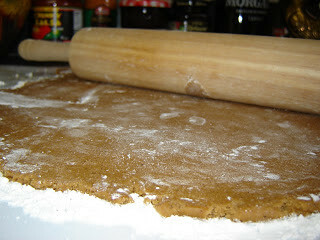 With mixer on low, gradually add dry ingredients to molasses mixture until dough forms. Shape into 2 thick disks and chill overnight. Preheat oven to 350 degrees. 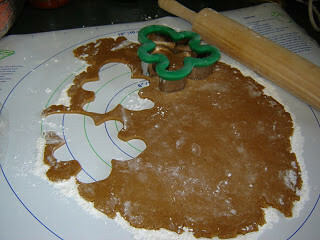 Roll dough out on lightly floured board to 1/4″ thickness and cut into desired shapes. 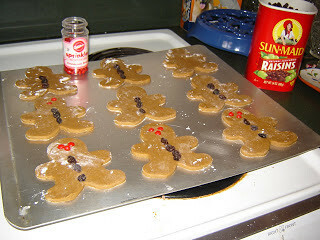 Decorate with raisins and red hots for buttons, eyes, noses, etc. 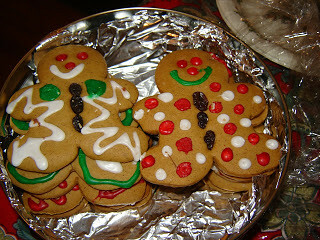 Bake on an ungreased cookie sheet for 12-15 minutes. 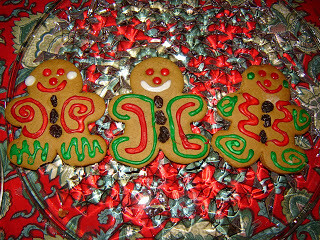 Cool on racks, decorate with icing if desired, and enjoy! 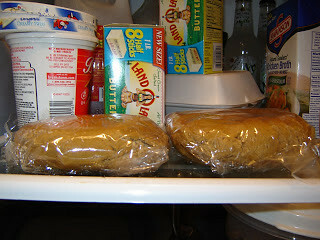 Chill disks of dough at least 8 hours or overnight for best results! 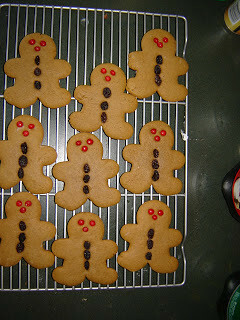 Roll dough no thinner than 1/4″ thick or your cookies will cook too fast and be dry. 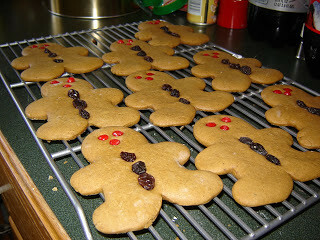 Put your raisins and red-hots on the cookies BEFORE you bake them – they will stay in place better. Be sure to pull them out of the oven JUST when they begin to brown, or they will be a little crispy and dry instead of nice and moist and chewy! 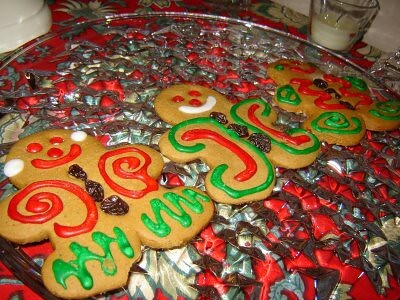 Decorate with icing after cookies have completely cooled. Get creative – this part has no rules or measurements! Just have fun!